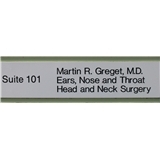 Martin R. Greget, MD (Renton) - Book Appointment Online! Excellent! Very professional, thorough, caring doctor and staff. Highly recommend without reservation!